This is all top-secret. 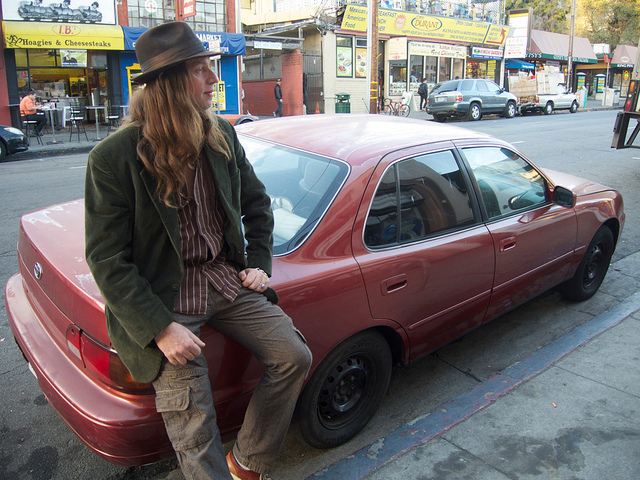 Neighboring businessmen have “all been around asking questions” but the hippy is hush-hush. 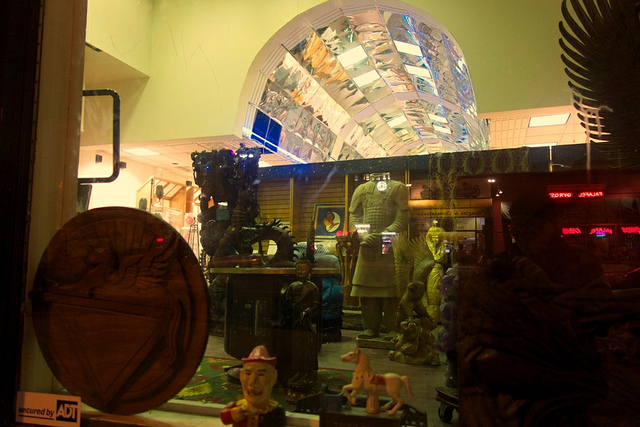 Fantasy wood carvings from the Pacific Rim stare out from the lobby of this Durant “Disneyland,” the (once) Tower Records, a store with a garish curved mirror ceiling. The hippy described a store out of Poe or Burroughs–a mind-blowing phantasmagoria. As I left him, I said: “everyone in Berkeley wanted to blow my mind in the seventies; they were phonies, but you have blown my mind [with his business plans ]. 'Durant Disneyland' Photo by Ted Friedman. “For people who don’t need to drink,” he adds. “Some students are drinking themselves almost to death,” I volunteered. The sky-high rent (more than $200,000 a year) will be financed by the hippy businessman’s internet businesses, which will net in the rear of the…of the…unnamed enterprise. “You’ll find the same things you’d find at Disneyland,” the daring young owner, 50, repeated. “I’m trying to create a buzz,” he admitted. Inside a fantasy. Photo by Ted Friedman. Berkeley, 70s. The most famous hippy-businessman was a chain-smoking, kidnapped-by-aliens, shaved-head, Alan Noonan, who founded the One World Family Commune, headquartered where Amoeba stands. Noonan commissioned the rainbow mural, which survives as part of Amoeba’s image. As Noonan blew smoke in your face (a chain-smoker), he claimed to be the son of god. He recruited family with dinners in his Berkeley Hills mansion, just like the Moonies. 1969. 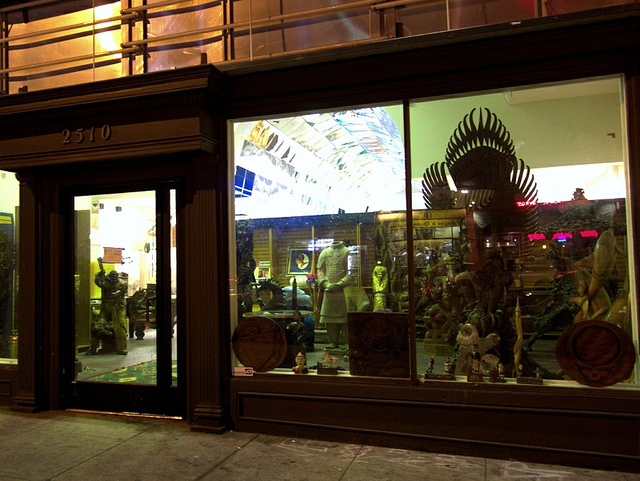 Al Geyer opens first head shop in the East-Bay on Telegraph, a hippy haven–still operating in the same location. HIPPY TRADITION ON TODAY’S TELEGRAPH AVE.
Patches and Franklin, two hippies from the 60s Haight-Ashbury, vend their arts less than a block from Durant “Disneyland” at their Teley street-stand. The owners of Berkeley’s two independent Teley music/video stores, are putative hippy-businessmen, forced into non-profit status–to prove it. Much of their marketing seems inspired by Berkeley’s hippy heritage. Robert ('Bo') Keating, 50--visionary. Photo by Ted Friedman. The Caffe Mediterraneum, across from Moe’s books on Teley has a loony box (just a rug by the door) where crazies sound off. But calling Med-owner Craig Becker a hippy-businessman–although many of his customers look like 60s hippies–makes no sense. Leaving Becker out of Telegraph’s current hippy legacy makes even less sense. Hippy: someone who seems to reject materialism for peace and love. Hippy businessman: “A hippy is someone who can put bread on the table.”–Franklin, a veteran of the birth of hippy, 1966, Haight-Ashbury. This entry was posted on Sunday, November 10th, 2013 at 11:32 am	and is filed under Telegraph Avenue, The Berkeley Scene. You can follow any responses to this entry through the RSS 2.0 feed. You can leave a response, or trackback from your own site.